Virtual desktop infrastructure (VDI) software is used by businesses to enable access to remote desktops, laptops, and operating systems that would otherwise be inaccessible. VDI software allows users to create virtual machines to run multiple operating systems on a single computer, create layers of security within a network, and locally and remotely access virtualized desktops. Businesses use VDI software, or a free VDI solution, to effectively use existing computer resources without increasing costs, quickly update enterprise software tools, allow employees to run multiple operating systems on the same machine, as well as use their own devices while still maintaining data security. 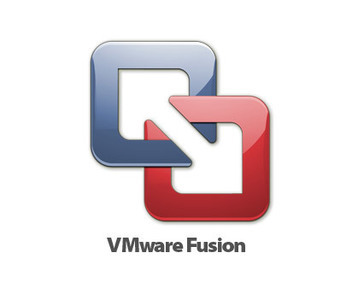 VDI tools allow users to create unique operating systems to launch platform-specific tools. VDI tools are often the key component in infrastructure as service products, in which host servers provide virtual tools (most commonly desktop infrastructures). VDI tools should also integrate with or be able to launch any additional business software a team or company requires. Virtual Desktop Infrastructure (VDI) reviews by real, verified users. Find unbiased ratings on user satisfaction, features, and price based on the most reviews available anywhere. 10ZiG Technology is a world-market leader in VDI endpoint device software and hardware. The 10ZiG Manager™ endpoint management software remotely controls any endpoint running on a 10ZiG OS via one centrally-managed and easy-to-use platform. IT Administrators can easily configure, deploy and manage large volumes of VDI endpoints located in multiple cities across the world – regardless of where that Admin is located. Equipped with features including Cloud enablement, power management, task-scheduling, automatic configuration, distributed firmware versioning, role-based access, reporting, shadowing, and more, The 10ZiG Manager is always FREE – with an unlimited number of users or licenses. V2 Cloud WorkSpaces is a multi-user desktop environment designed to allow employees and colleagues to work online remotely, share files and applications and collaborate together under the same system. - For Software Vendors We host your desktop applications in the Cloud so your customers have access instantly right in the browser - For IT Firms & Resellers Resell our products under your own brand. Login page, Cloud WorkSpaces, Windows & Mac cloud client, even the thin client will be branded to your company. - For Businesses We host and monitor your Cloud WorkSpaces so they are always online and optimal. Employees access workspaces remotely from their own devices and you can monitor from your administrative dashboard. Citrix Workspace offers a user-centric experience where everything you need to work is in one unified app, with conditional access and performance made simple based on user context and IT-designed policies. Citrix Workspace fully aggregates all apps and data across all applications—both on-premises and cloud—to deliver the right experience to the right user at the right time. Ivanti User Workspace Manager (formerly DesktopNow, powered by AppSense) is a workspace management solution that helps you simplify desktop deployment and administration, reduce IT costs and secure endpoints. With User Workspace Manager, you can deliver a personalized, compliant desktop regardless of user location or device. The solution also eases herculean IT tasks like Windows 10 migration and enables secure file sync, sharing, and data access. Cloud Workspace is a Workspace as a Service (WaaS) platform that simplifies cloud-based IT workspace delivery to desktops, laptops, tablets, and smartphones. Mitel Virtualization is a VDI tool that provides unified communications and collaboration. With CloudDesktop, you can access your apps on any device globally. RapidScale’s CloudDesktop solution allows organizations to move all of their applications and desktops to the cloud. You’re then able to access your virtual desktop environment through an Internet connection from any device, anywhere in the world! With a virtual desktop environment, businesses have the ability to rapidly add new users with a single click of a button – deploying the desktop and applications to anyone in the organization. By combining compute, licensing, upgrades, management, and more into a simple monthly charge, businesses can reduce their capital spend and get the latest technology automatically. RapidScale’s CloudDesktop helps extend the life of existing hardware by no longer relying on the local machine to perform tasks or run applications. ComputerSupport.com ITAnyWhere WorkSpace (former ITAnyWhere Cloud) revolutionizes the way your business operates by allowing instant, secure, compliant access to your hosted IT infrastructure from anywhere. All your applications and data are accessible to you from any PC, Mac, or mobile device, via a secure connection. Our desktop as a service (DaaS) solution improves how your business operates and saves money, while removing the unneeded technological complexities. Dizzion provides fully managed desktop as a service solutions that allow companies to support employee mobility while maintaining security. Dizzion's suite of products include cloud based virtual desktops, PCI and HIPAA compliant virtual desktops, thin client endpoints and application streaming. Dizzion Control Center offers a deep level of environment management, monitoring and business insights fully integrated with your virtual desktops. NComputing provides desktop virtualization software and hardware solutions. Neverfail Workspaces lets you automate, manage and deliver the same intuitive user experience for IT services and applications to all devices. VDIworks is a software tool that allows schools and healthcare facilities to provide virtual desktops to the public. HySecure enables users working from any network be it trusted LAN or untrusted WAN or internet or mobile network to securely access corporate resources. HySecure's SPAN technology make secure access a simple, fast deployment without requiring any network changes. The User can get onto a browser, desktop client or mobile apps and start accessing the applications without requiring any configuration on the devices. Accops HyWorks is a solution suite comprising of software and hardware to create, manage and deliver hosted applications & virtual desktop from the datacenter. HyWorks provides core services to create and manage host application environment, virtual desktop, provisioning services for virtual desktop, connection brokering, authentication and authorization and auditing services. AppliDis Fusion 5 is a VDI solution that allows to provide access to applications and Windows desktops, meeting the requirements of applications and desktop virtualisation that meets most users' needs, and extended VDI available for those more complex requirements, such as training rooms or VIP access. CeedoClient is a outdated IT and safety software. IndependenceIT is a cloud management platform provider that allows IT departments, service providers and ISVs to easily deliver Software Defined Data Centers, application workloads, Cloud Workspaces and data from any cloud infrastructure to users anywhere, on any device. DMG MORI Virtual Machine optimize all machining processes in advance with 1:1 shop floor programming and collision avoidance simulation. Eltima Port Virtualization technology is a solution designed to solve remote connection issues. EuVantage is a “Citrix Ready” SaaS-based monitoring and analytics solution that simplifies the management and delivery of virtualized desktops and applications. Its unique differentiator is the cross-domain visibility it affords and end user-centric approach which results in up to 70% reduction in Mean Time To Resolution (MTTR). Evalaze is a software that allows outdated applications can be used on new and modern operating systems. Trusted Thin Client. Provides simultaneous access to data on multiple networks and VDI environments from a single endpoint device. FOSS-Cloud (FOSS-Cloud software and hardware) is an integrated and redundant server infrastructure to provide virtualization- and cloud-services, Windows or Linux based SaaS-, Terminal Server-, Virtual Desktop Infrastructure (VDI) or virtual server environments. FOSS-Cloud covers all aspects of a virtualized IT environment. FOSS-Cloud is a pure Open Source solution, is licensed under EUPL and is available on the sourceforge.net. FOSS-Cloud is the most advanced Open Source Cloud. End-to-end and easy software for Service/Hosting Providers to create their own Virtual Desktop Service (DaaS, Desktops-as-a-Service). Locked-Down Public Computing is a desktop virtualization tool that allows businesses to offer desktop solutions to the public. Login VSI is a software product to test the performance and scalability of Windows based virtualized desktops by simulating user workloads. Virtual desktop infrastructure (VDI) software solutions allow users to run virtualized desktops within their native desktops. This is facilitated by a virtual machine living in a company’s server. It allows users to completely customize their desktops and adapt them to fit their specific needs. This could mean something as simple as creating a Linux environment on a Mac or running a program that is not native to Windows on a PC. It could be more complex, such as delivering a virtual application. Administrators can consolidate hardware resources into more flexible appliances through VDI solutions. End users are able to access multiple desktop variants in just about any location on a device connected to the VDI’s server. This is accomplished by utilizing a connection broker and a hypervisor. The connection broker assigns and connects endpoint devices to the server, while the hypervisor runs the virtual desktop. If you are not familiar with hypervisors, they can be equated to virtual machine monitors that can run a virtual operating platform to deliver a variety of operating systems. Typically, VDI implementation is facilitated on a remote operating system communicating with the local device. The connected network uses a remote display protocol to perform the actions of the end user. All information and actions are actually stored in the remote system rather than the local device. This goes for virtual desktops, virtually delivered applications, and other virtual appliances. These tools are used to share resources in an effort to improve efficiency and reduce costs. This eliminates the need to have a diverse set of hardware devices for different tasks and applications. It also benefits administrator management by providing a centralized console for client environmental control. As problems arise, administrators are alerted and can reconfigure the virtualized server to return functionality. Why Use Virtual Desktop Infrastructure Software? Better technology, lower cost – Instead of supplying standardized devices across the company or paying for other costly IT infrastructure components, VDI puts a ton of control in the hands of administrators. They can update devices, provide new applications, and ensure security, all at a fraction of the cost of the manual and infrastructural expense. The bring-your-own-device (BYOD) world makes it much more necessary to provide virtual tools, since each device's capabilities are different. As long as a device is reasonably up to date, it can run any program the administrator delegates. This means more operating systems, business applications, and virtual machines regardless of the type of device an employee is using. The tools allow for increased monitoring and improved security. Network penetrations and compromised devices can easily be identified and removed. Reducing infrastructural burden — Some investment in server and storage hardware may still be necessary, but VDI solutions typically connect devices to hosted networks and cloud storage environments. This makes it easier on the end user to navigate databases and prevents large files from bogging down devices and slowing performance. Hosted databases can be as large as you need and typically scale with costs. Administrators are at an advantage since they get a single navigation point for network access and managing endpoints and storage. These systems also isolate and centralize resources to make the remote devices run more smoothly and securely. Extensive options and customization — In addition to customizing the setup to meet your storage needs, you can customize applications, user access requirements, and bespoke virtual machines. From the administrator end, you can customize security protocols, network monitoring dashboards, and document historical records. Combining the two ends can help develop a remote IT setup that’s both cost- and resource-efficient. You can give Mac users access to Windows-native applications or vice versa; virtually every application becomes OS-agnostic since you’re choosing the operating system, regardless of the end user’s device. These standardized environments can often be deployed to users across the globe, with limited effects on functionality. Other business problems solved with VDI – Security is probably the largest additional solution. Virtual apps inside an isolated server are much more difficult to access for hackers. Properly implemented VDI solutions can improve security by adding further firewall layers, malware scanning applications, and vulnerability management solutions. Gateways can control access to cloud applications, email accounts, and web browsers. Administrators can choose what users can and can’t do while connected to the company’s network. It also makes it easier to delete virtual environments and disconnect devices that have been compromised. Troubleshooting device issues and providing user support also benefit from VDI since administrators are connected to the device. They can provide support documents, discuss issues via live chat programs, or take control of the device to inspect the issue. Scalability — Software options in the VDI category range from allowing a single user to run two operating systems on one machine to an entire enterprise having access to virtualized machines. Your software buying decision will depend largely on the number of users accessing the virtualized desktops. Furthermore, consider whether scaling your virtualized desktops to more users will be necessary in the future. Standalone software tools in this category may not have the same scalability as software suites. Integrations — Integrating existing solutions with a VDI tool can be difficult. Certain technical support tools and web conferencing software use a form of virtualization that make it difficult to integrate with other VDI tools. If your business uses remote access tools for technical support or web conferencing software to host virtual meetings, you may want to consider a software suite that combines these functions with VDI. Moreover, integration issues with industry-specific solutions such as electronic health record software or financial services software may also be overcome with industry-specific software suites. Mobile virtualization – It’s worth noting that not every VDI software tool comes with a mobile application. While your virtual desktops set up through these options may still be accessed through a mobile browser, not having a native application may make it more difficult to navigate the virtual environment. Applications designed for a desktop that require heavy use of a mouse tend to be difficult to navigate on a touchscreen device. VDI software vs. infrastructure as a service (IaaS) — IaaS solutions typically provide VDI capabilities, but only as a component of their overall infrastructure offerings. In addition to VDI, IaaS products provide virtual hardware, server space, and network connections.They can also help users host applications, backup data, and automate system maintenance. They can be a lot more all-encompassing infrastructure solutions, but do not provide the same level of end-user control. VDI software vs. remote desktop software — These two categories are actually quite different, despite their similar names. Remote desktop users are not provided with dedicated, independent virtual machines. 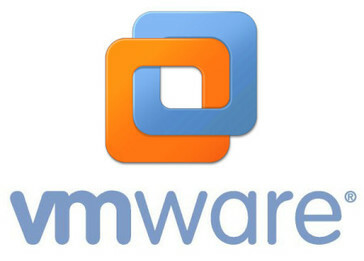 Instead, multiple users are operating on the same virtual machine and server operating system. Remote desktop software limits administrative access between users since they are sharing the same virtual machine. Remote desktops can be cheaper and less complex, while also hosting more users. However, they do not provide the same level of freedom for the end user. Hi there! Can I help you find the best Virtual Desktop Infrastructure (VDI) solutions?